Welcome to the step guesthouses! You are looking for suitable surroundings for your group trip, your club excursion, training camp or school sports weeks? Then step Guesthouses are the right place for you! 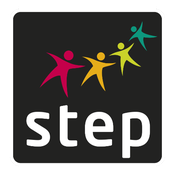 Our name reflects our program: step stands for sports, training, education and park. Our guesthouses have been specialized in accommodating large groups for many years, notwithstanding if there are competitions, training camps, or learning holidays. The step Guesthouses are divided into three buildings and have a total of 650 beds available. The houses are focused on meeting the needs of large groups. Therefore, there are common areas, tea kitchens, seminar rooms as well as generous sports and activity facilities available to you for the duration of your stay. The team at step Guesthouses has many years of experience with large groups and special requests and needs. Regardless if you have special requests for meals, washing sports jerseys or ideas for your individual program. We will turn your stay into an unforgettable experience. Choose one of our current offers or contact us regarding your special requests – we will gladly consult you, make offers regarding a diversified program outline and help create your individual offer according to your requests. Everyone who wishes to experience their stay in southern Burgenland in a more relaxed manner behold: due to the ideal location of step Guesthouses in Pinkafeld, the many spas, castles and palaces are all within easy reach. Not to forget the famous regional vintners and their taverns. The southern Burgenland has a lot to offer for every season. If you wish to discover the area via bicycle or e-bike we will gladly provide rental bikes. We offer parking facilities for any bikes you bring along. Upon request we also offer a guided tour with a professional regional coach who will explain the native fauna and flora in a vividly entertaining manner.